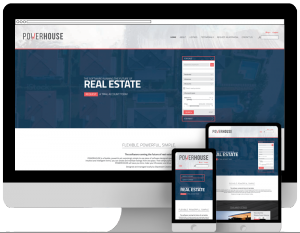 POWERHOUSE is a flexible, powerful yet surprisingly simple to use piece of software designed specifically for the real estate online market. With intuitive and intelligent forms, you can create and maintain listings from one place. Then simply sync to major online listing avenues TradeMe Property and Realestate.co.nz with one click. POWERHOUSE will save you time, make your life easier, and drive your success. Designed and managed locally by Slipstream Creative. POWERHOUSE is designed to mould to individual company needs, i.e: agent privileges, specific reports, unique posts; anything you might need—we can create it. At the same time, it’s mature enough to come pre-packed with a number of sturdy, industry tested features to cover all the essentials. Designed with the mobile world in mind, POWERHOUSE is mobile responsive allowing youth create listings while out and about. Throughout POWERHOUSE, each screen provides you with concise, digestible information making every process easy. Work flow is streamlined with smart form fields, and simple 1-click syncing to TradeMe Property, Realestate.co.nz, and of course your own beautifully designed site. Unifying the listing origin also makes it possible to provide powerful, meaningful data trends and individual statistics. All displayed in one lush dashboard. No problem is to hard or small to solve. Backing this comprehensive software is a team of people who actually care about you and your company’s success. At Slipstream Creative we are a team of passionate designers and developers. With over 35 combined years of experience we can create bespoke and functional full-service websites, specific report templates, marketing material (printed or digital), and so much more. If you have an idea, we can work with you and your budget to bring it to life. Interested in taking this to the next level? We can arrange a trial account for you to have a look around our demonstration website.